who drove from Sydney for the day. 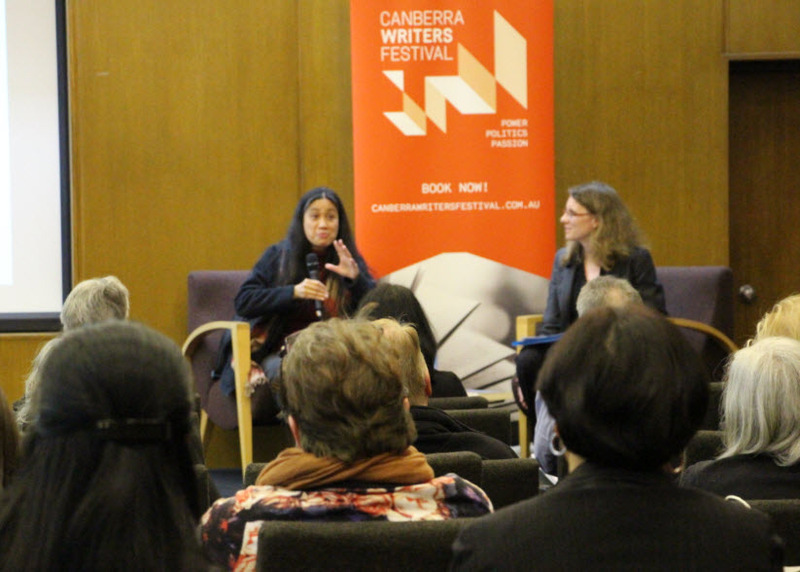 Photo: Dr Merlinda Bobis talking to the audience at the writer's festival in the National Library of Australia. Dr Merlinda Bobis gave an inspiring talk to a dedicated audience of literary lovers, experts and VIPs from around Australia on the 27th August 2016. Josie Musa, NSW Woman of the Year 2015 awardee and her husband Gerry Musa, originally from the foothills of the famous Mount Mayon cone shaped volcano in the Bicol region of the Philippines, where Dr Bobis is also from, drove down from Sydney just for the day to see the great literary festival event at Australia's most distinguished and famous library within the Parliamentary Triangle area of Canberra. It was a great event for all, and the crowd asked some insightful questions regarding two of Dr Bobis' books, "Fish-Hair Woman" and "Locust Girl: A Lovesong". 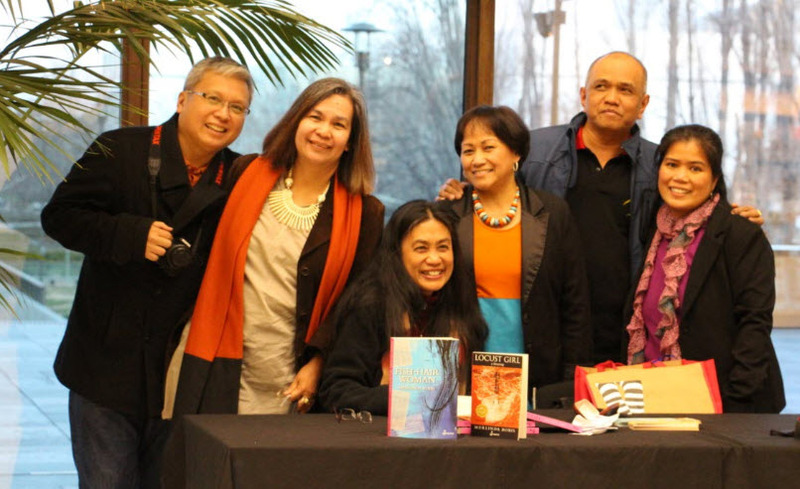 Photo above: Joseph Gasendo, President of the Philippine-Australian Association (PAA) of the ACT and Monaro Region, Dr Emy Liwag from the Australian National University, Dr Merlinda Bobis, Josie Musa, NSW Woman of the Year 2015, Gerry Musa and Gloria Ross, Director Radyo Filipino Australia in the front foyer of the National Library of Australia. 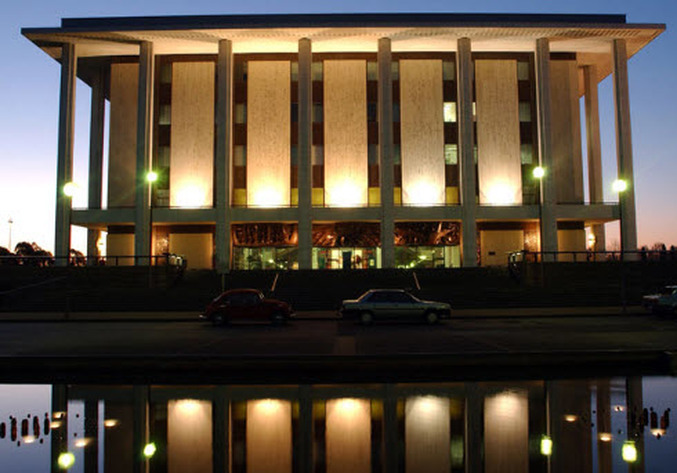 Photo below: National Library of Australia.